The challenge comes in when the docker build tries to execute a nuget restore. The private repository needs credentials and the build fails with NuGet restore error NU1102: Unable to find package. The most common solutions I found online included configuring a nuget.config with the credentials in it. This means putting the credentials in source control (not a good practice) or generating a nuget.config file as part of the build process from pipeline variables. The first option was a non-starter and hacking together a script to generate the nuget.config seemed overly complex to maintain. With this knowledge, I set off to piece together a solution that did not require storing secrets in source control and would be easy to live with. My solution is to perform a NuGet restore as a build step in the pipeline which copies the packages to the agent. I then copy the packages to the build container and set the nuget.config to use the folder on the build container as the source for the packages. This means my nuget.config does not contain any secrets and can be stored in source control alongside my Dockerfile. Below are detailed steps on implementing this solution. 3. 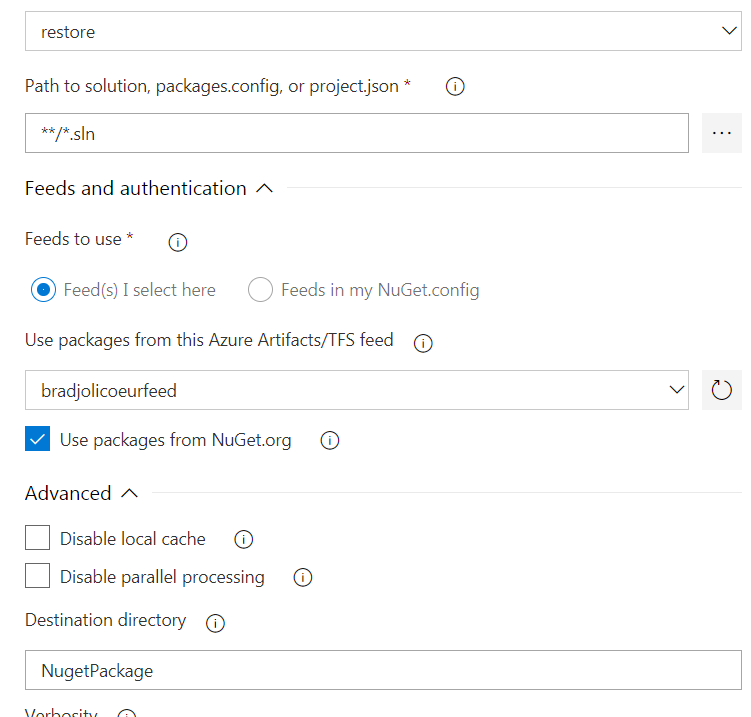 Add NuGet restore step after the installer step and configure to use the private feed you configured in step 1. Note: In my example the .sln file, Dockerfile and nuget.config all live adjacent in the root folder of the solution. 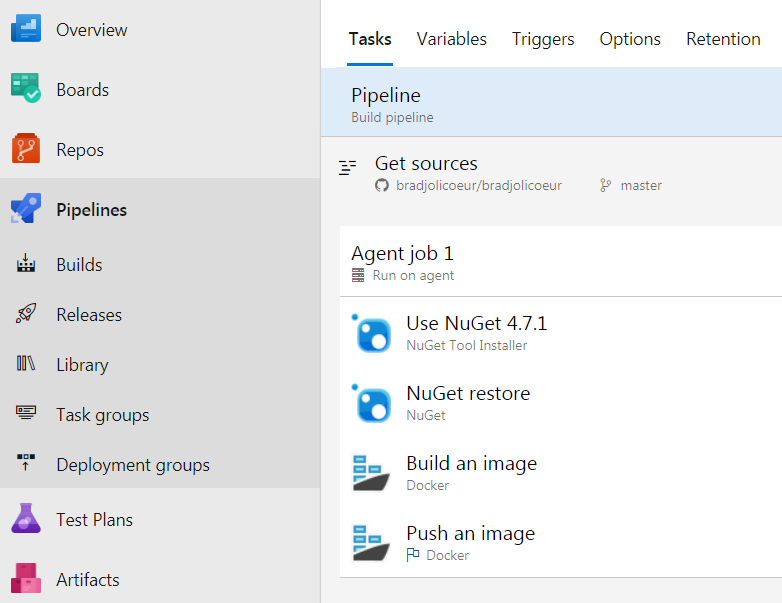 Copy the source folder that contains your nuget packages from step 3 to the build container.